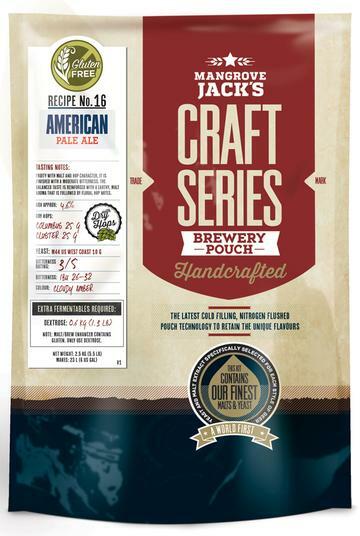 Since all traditional beer recipes use grains that naturally contain gluten, Mangrove Jack's has worked extra hard to design a recipe that delivers beer flavours and mouthfeel without using any of the conventional ingredients. Gluten Free Pale Ale is truly free of any gluten using only non-gluten ingredients, as opposed to some products that have gluten removed as part of the production process. Light, crisp with a citrus character and a dry, bitter finish. The tropical aromas are well balanced by pine and herbal notes. Extra Fermentables Required: 1kg of Dextrose Premium Brewing Sugar. 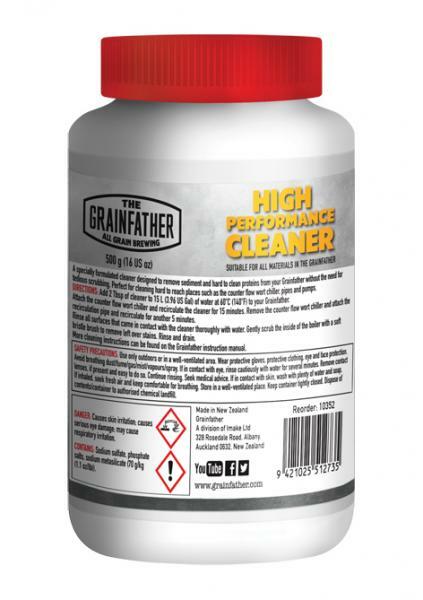 NOTE: MALT/BREW ENHANCERS CONTAIN GLUTEN> ONLY USE DEXTROSE.